Want to become a group fitness instructor? Here is everything you need to know about teaching group fitness and working in the fitness industry. I get a lot of emails and messages from people interested in becoming a group fitness instructor and teaching group fitness full or part time. Since there is such a demand for information, I thought it would be helpful to post some suggestions and helpful thoughts in this space. These days, more and more folks are leaving their corporate jobs to come to the fitness world. You love fitness. You’re obsessed. You look at your instructor and think, “I could do that”. But first, let’s have a little heart-to-heart (you and yourself, that is). Here are a few questions to ask yourself before jumping into a fitness career. This list is based on a combination of things: observations of instructors (which qualities make for great ones, which qualities hold them back) and a survey of instructors who told me about questions they wish they had considered. Feel free to chime in below if you think I’ve missed something! 1. Is my primary reason for wanting to become a group fitness instructor that “I love taking classes” or “I love working out”? This is actually a huge pet peeve of mine. I hate hearing potential instructors say, “I want to get certified so that I can get paid to workout”. Your job as the instructor is NOT to workout for money. It is to educate, inspire, motivate, and support your students in their health and fitness. Getting paid to work out isnt teaching. There is a huge, often-underestimated gap between “taking classes” and “teaching classes”. This is the number one question you should ask yourself (and be honest!) when considering the career. Many people try their hand at fitness instruction, and fail — because at the end of the day, they’re just not teachers or they realize that teaching means giving up their workout to give to others. There are coaches and there are athletes — sometimes they are one and the same, but often they are not. On the other hand, if you don’t love taking classes, you have a much bigger problem. You can’t teach something if you don’t understand the pleasure derived from your students. 2. Do I have a utopian view of what it means to be a group fitness instructor? Quiz: What do group fitness instructors do when they are not teaching? Drink green juice and go shopping at Lululemon. And a sub-question: Do I think that I’m going to be an overnight sensation? A little confidence is a good thing, but make sure you have realistic expectations for your career trajectory. Even the youngest, most popular group fitness instructors you know had to put in their fair share of empty and half-empty classes before they started filling up. Coming into the industry, you need confidence that you can achieve greatness — but be realistic about the time frame that will require. 3. Am I currently undergoing some kind of life crisis? (mid-life, quarter-life, general-life)? Okay, this is only sort of a joke. Ask yourself, do I really want to become a group fitness instructor, or is it more that I dont like my job and/or life right now? Keep in mind that even though you might be getting loose as a goose in spin class, the person up at the front is actually at work! Make sure your intentions are “I want to do this” and not “I don’t want to do what I’m doing right now and this seems like a good alternative”. 4. Is group fitness a side gig, or am I looking to make it a full time career? If it’s a hobby, realize that it’s going to be an expensive hobby; the costs of certifications and education are the same whether or not you’re teaching full-time. But more importantly, ask yourself: Is this something that I’m willing to dedicate my life to? 5. Do I understand the time and cost associated with becoming a group fitness instructor? If you’re not certified already, consider at least starting, if not completing, a certification program before taking the leap. This will open your eyes in more ways than one, and give you a sense of whether this is where you passion truly lies. At the very least, do the math before you leap — know how much the programs cost. For example the American Council on Exercise group fitness certification costs $299.00 (you can view their certification program by clicking HERE.) You will need to renew your certification every 2 years by earning continuing education credits. You will have to pay both for the continuing education credits and to renew your cert. Renewal fees are typically $150.00 and CEC’s can range in price, at least expect to pay $300 for continuing education. 6. Do I understand that learning doesn’t stop after I get my certification? Fitness is changing every day. Research is constantly being updated, new products are always being introduced and last year’s hot trends most likely won’t stay around for long. It’s your job to stay up to date with continuing education, which is not only vital to your relevance as a group fitness instructor; it’s a requirement for your re-certification every two years. Many organizations, including ACE, offer continuing education designed to help you stay ahead of the curve. As an instructor, you have to commit to a lifetime of learning, and an ability to adapt as new information in exercise physiology is released. Make sure you don’t walk into a fitness career thinking your certification is one-and-done. 7. Am I realistic about the economics of group fitness? Have I done my research? Do I know what group fitness instructors make in my area (high, medium and low?) Have I reviewed the best and worst case scenarios? Can I afford to do this, or am I willing to make the life changes to allow me to pursue this career? Hint: The majority of group fitness instructor aren’t exactly rolling in Benjamins. This is a labor of love for most. Of course, you CAN make good money — but do the math before, not after. 8. Have I considered the fact that most group fitness instructors are contracted, not employed? In other words, have I factored in the costs of freelance health insurance, lack of 401K and cushy matching programs, transportation costs (many instructors have to bop from studio to studio throughout the day), pensions, etc? 9. Have I fully ascertained the challenges of a freelance-like work schedule? This might seem enticing now, but leaving job with structured hours, weekends off, and a 9–5 schedule can be extremely difficult. You lose the routine of waking up at the same time every day and reporting to the same place, interacting with the same people, being able to grab post-work drinks. You typically dont have co-workers to teach with and bop from gym to gym alone. Most of your class preparation will be done alone, and when you’re in the classroom, the folks around you will be your clients. It can be hard to find the sense of tight-knit coworkers, unless you work at a studio that really nurtures the employee culture. It can be a lonely! Also, consider that fitness is a leisure industry; you’re working when everyone else is not. That means weekends, early mornings, and nights. Your down-time is likely to be late morning/early afternoon — which can add to the “loneliness” factor or make it challenging to see your friends who have regular hours. 10. Am I ready for the responsibility (and privilege) of taking clients’ bodies into my own hands? And furthermore, do I take that responsibility seriously? You need a degree to be a doctor or a physical therapist, but you can get by with a quick certification to be a group fitness instructor — and yet you have the power to heal (and hurt) your students in every class. Make sure you’re mentally prepared for that. Know your stuff, practice safety at ALL times, and always maintain a current CPR certification!! 11. Do I understand that this career is dependent on a functioning body? Being an instructor gives new meaning to the phrase “my body is my temple”. No more skipping your annual physical; no more “hoping” that pain in your foot will go away. In becoming a group fitness instructor, you need to make an absolute pledge to your health — not for the sake of sexiness, but because you physically cannot do your job without it. Unlike other careers where you can continue on despite injury and physical limitation, in fitness, if you can’t do it, it’s very unlikely that you’ll be able to teach it. Worse, consider the fact that as a contractor, you rarely have access to the same employee benefits that would sustain someone in a more traditional position. 12. Am I a natural teacher? Have you ever taught anything before? It’s hard to answer this question without precedent, but vital to consider before you make the leap to become a group fitness instructor. 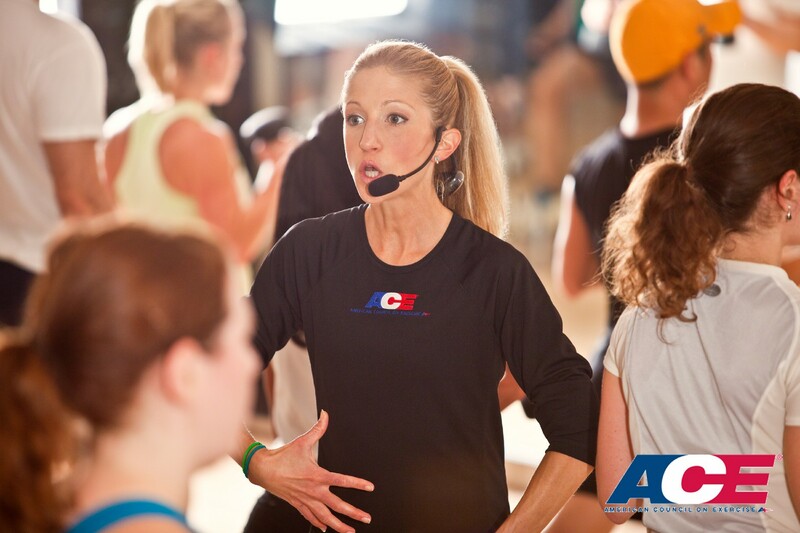 No matter which way you cut it, every group fitness instructor is also a performer. You need to command the room, maintain your students’ attention, and keep them focused. There are many types of “performance” — from the flamboyant, to the strict, to the chill — but make no mistake, as an instructor you are a performer, and the classroom is your stage. 14. Do I look the part? Now, before the lynch mob comes down on this, let’s be clear: Talent comes in all shapes and sizes, and you don’t need to be barbie or Ken to make it in fitness. But do be honest with yourself: As a group fitness instructor, if you don’t have a memorable ‘look’ it will be harder for people to remember you — so you might have to work harder than your coworker Brad Pitt to fill the classes at first. The point: Anyone can be a group fitness instructor, but just like anything in life, some folks have to work harder than others. 15. Do I have thick skin? Do you know how demanding we are (your customers?) Are you sensitive to criticism? Can you brush it off, or do you dwell? You need to be prepared to both receive and digest tough love — from students, colleagues, and employers. You also need to develop the skill of deciding which feedback is useful and which is not — taking the good and leaving the bad. It can be challenging not to take anything personally. I know I’ve had to get a thick skin over the years of teaching. Reality is, not everyone is going to like you or your class. It’s important not to stress over it and to focus on doing the best you can for the people you connect with. 16. Am I quick on my feet/can I adapt to the pressures of last-minute challenges? As a group fitness instructor, you rely almost 100% of the time on external forces outside of your control. What if the instructor before you didn’t clean up? What if the stereo stops working? What if the studio is 100 degrees (and you’re not teaching a hot yoga class)? What if you have all new students of different abilities, ages, and interests?? There are a lot of things that can go wrong in a group fitness class that are outside of the instructor’s control. Are you someone who might be overcome with anxiety when things go wrong? Are you someone who can improvise and think quickly? The group fitness instructor needs to be able to perform under pressure, quick on their feet, and flexible! 17. Do I have strong vocal chords? This might sound silly, but there are a lot of folks out there who literally cannot talk for extended periods of time without throat pain. Have you ever tried it? This is another reason it’s great to go through a certification and some “practice classes” before making the leap. Maintaining your vocal fitness is actually challenging, and properly warming up your vocal chords before teaching is an important part of keeping your body healthy long term. 18. Am I good at making friends? Okay, sorry for this Barney-the-purple-dinosaur bullet, but to make it you’re going to need to be friendly, outgoing, and good at negotiating fitness industry politics. More than other industries, schmoozing, friend-making, and diffusing disputes are invaluable skills. Absolutely necessary for a fitness career. You’ll be creating classes, building playlists, entertaining customers, and often flying by the seat of your pants — you need a few creative bones in your body to survive. 20. Do I have a distinguishing “thing”? I leave you with this question, because it’s the core of every successful group fitness instructor. To survive, you will need to have a distinguishing teaching style — something that sets you apart and makes students clamor to book your class every week instead of someone else’s. You may not know what your thing is on day one — or year one — but you’ll need to work towards it every day of your career until you’ve found it. The above are many things you should consider before becoming a group fitness instructor. Did I miss anything? Leave it in the comment section below . Teaching group fitness classes is a part of my career as a health and wellness professional. Sharing movement with others is something I truly LOVE to do. I believe that fitness is not just about exercise, but about creating an experience that brings joy to people’s lives. Through my work as an group fitness instructor, I strive to provide excellence, commitment, and inspiration to others. My goal is to strengthen the mind, body, and spirit; to help people realize personal happiness through wellness . Here’s my advice to you: if you want to pursue a fitness career, st down with yourself and consider the questions above. Do your research and check out the AMERICAN COUNCIL OF EXERCISE’s online resources for aspiring health professionals. The “get certified” section has everything needed to get started pursing a career as an instructor. Here’s one thing I know for sure: if your heart is in it and you put your mind to it you will make a great group fitness instructor. Put your heart into it and make it happen! Let me know how I can help you. Originally published at www.carolinejordanfitness.com on October 13, 2013.